The Transatlantic Economy surveys have become a standard reference for businesses, policymakers, and media interested in the changing role of the U.S. and Europe in the global economy. This edition will further advance that trend. 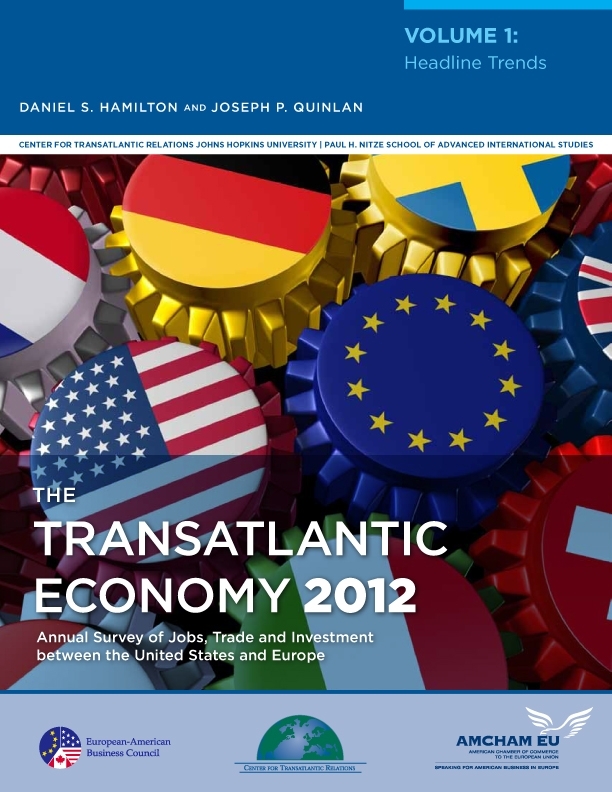 The Transatlantic Economy 2012 survey offers the most up-to-date set of facts, figures, and analysis available on the deep economic integration binding Europe and the United States. Volume 1 describes the impact of economic and financial crises; prospects for the dollar and euro; the position of the transatlantic economy in relation to high-growth emerging markets; and the changing landscape of international innovation. Volume 2 documents European-sourced jobs, trade, and investment in each of the fifty U.S. states and U.S.-sourced jobs, trade, and investment in thirty European countries.